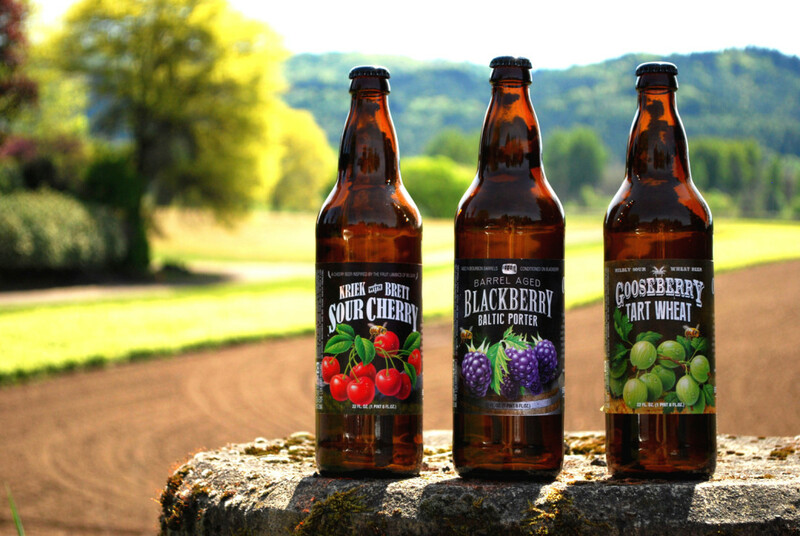 We sample the three new releases from Breakside's latest fruit-forward collaboration with Oregon Fruit Products. Beer and fruit have a long shared history. Fruit was the original ingredient used to stimulate fermentation, millennia before the popularization of hops, and the sweetness of the sugar and the flavor of the fruit allowed for a wide array of beer varieties and styles. Today, brewers have rediscovered the benefit of fruit in the brewing process. Adding fruit to the beer during fermentation can not only impart the unique flavor of the fruit to the final product, but it can also add more fuel for the yeast to consume (in other words, more alcohol). Portland brewers are have lead the charge in the resurrection of the modern fruit beer—for evidence, look no further than the 4th annual Portland Fruit Beer Festival, set to take over Burnside Brewing Company June 6-8 with more than 25 breweries brewing a wide variety of complex fruit-powered sips. Tickets are now on sale! Porters themselves are traditionally a darker beer, but Baltic Porters are actually a version of Imperial Stouts (extremely dark). If that wasn’t serious enough, this beer was aged in bourbon barrels, so expect a higher alcohol content beer with a strong essence of bourbon attached. Adding blackberry purees to the barrels imparts a deep and rich fruit flavor to the beer, along with chocolate notes and satisfying smoothness. Inspiring my beer-hating mother to exclaim “I actually like it!”, this beer is the perfect summer afternoon sipper. Wheat beers are lighter in body, with lots of foam and essences of bananas, orange peels, and cloves (think Hefeweizen), created by the special type of yeast used during fermentation. Breakside chose to utilize the less common “sour” method with this wheat beer, adding gooseberry purees to the fermentation process to give the beer a mild tartness. Now we get to the real geeky stuff. Inspired by the fruit Lambic style of beer from Belgium, this beer is more reminiscent of a cider than a beer. It's sour and tart, with a nice bit of brett-fueled funk, but is also mellowed by a fruit-forward sweetness thanks to the addition of two different cherry purees to the barrel aging process. Krieks are known for their extended fermentation process, so expect this release to show up on Breakside's tap list last of the bunch.